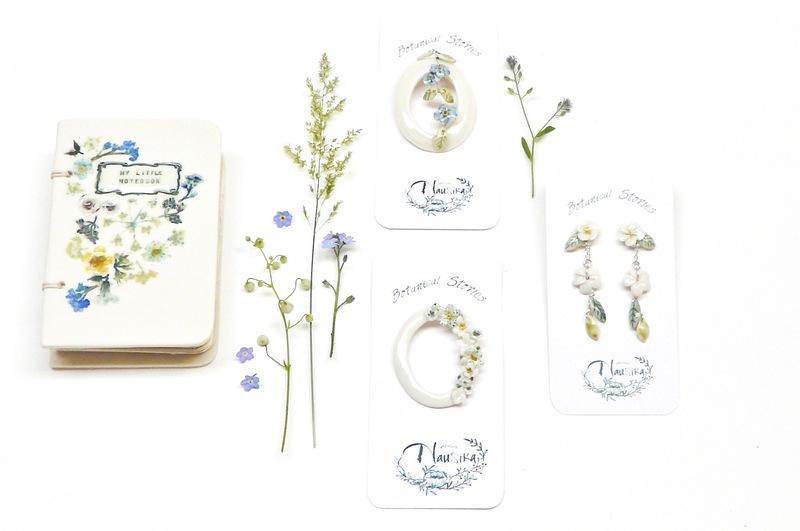 I hope you don’t mind another blogpost about the new collection “Botanical stories”. 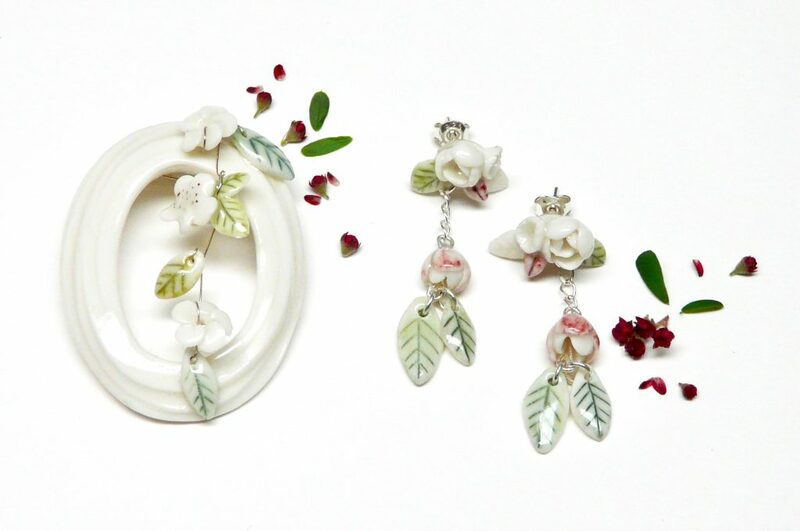 This one shows you some new jewellery such as porcelain brooches and earrings. 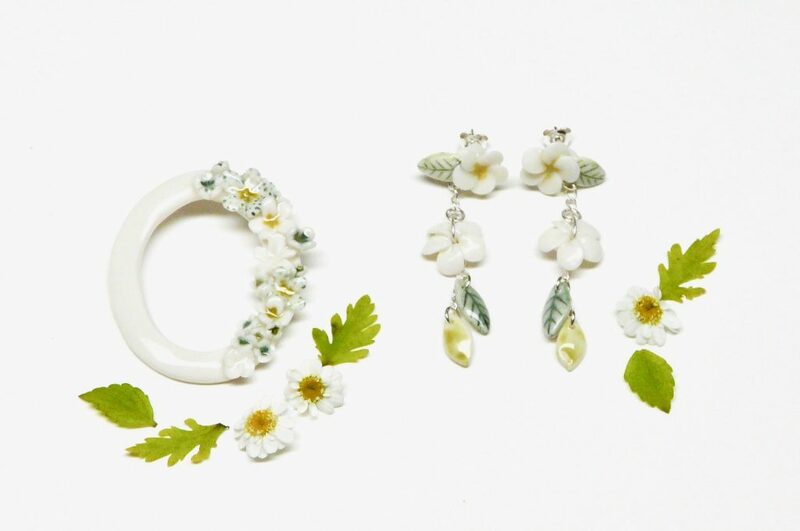 Imagine a spring morning in the blooming meadows, picking daisies, buttercups and fresh green leaves. 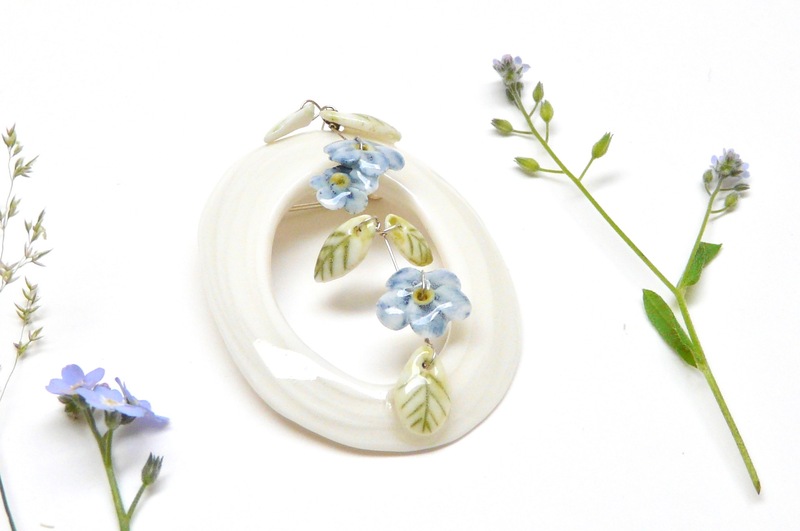 They perfectly fit together on this porcelain brooch and earrings. 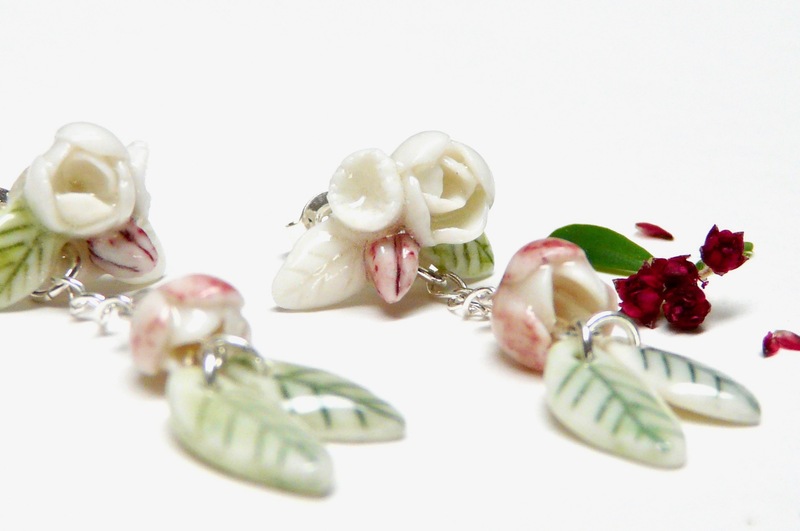 What would a botanical collection be without the delicacy of a rose? 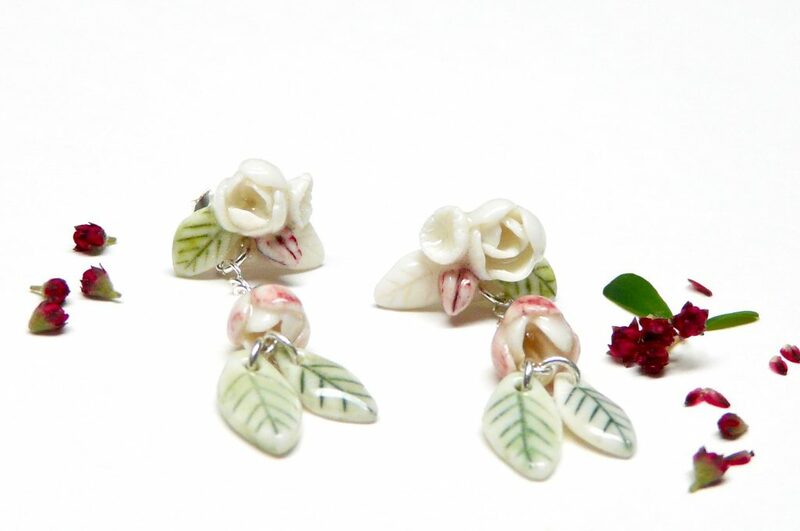 Here’s a pair of sweet roses earrings for all those romantics among us. A combination of a little notebook and porcelain jewellery with freshly picked flowers. 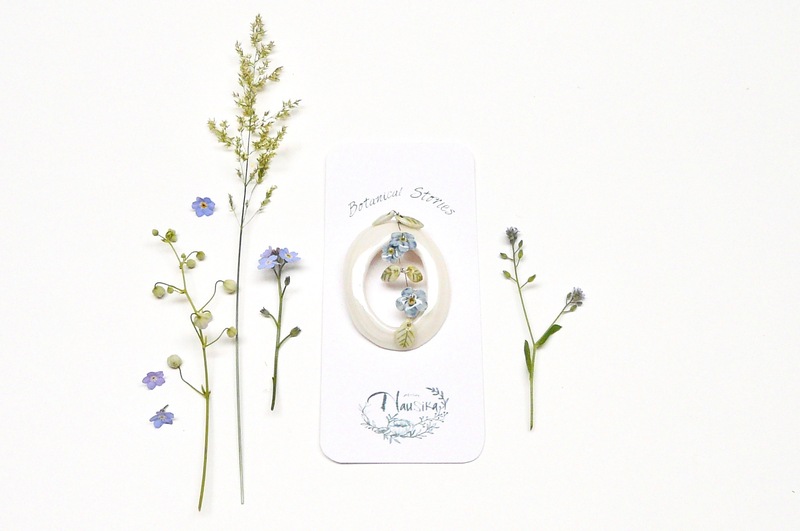 One thing they all have in common is tiny flowers and summery colors! 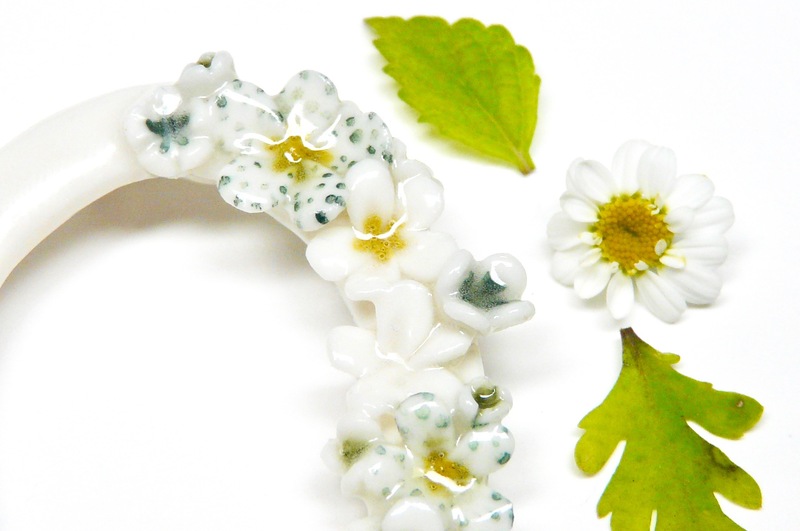 An unique porcelain brooch inspired by the lovely forget-me-not flowers. 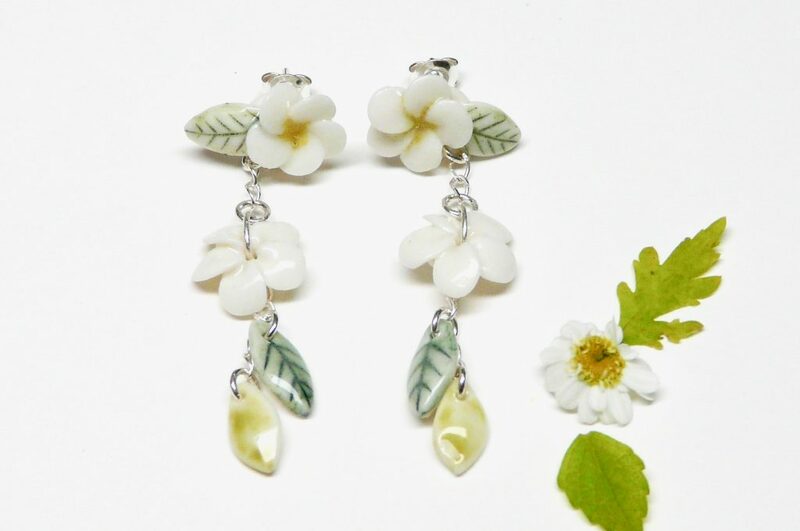 I’m making new earrings from the Botanical Stories at the moment as they were all sold at the previous markets. 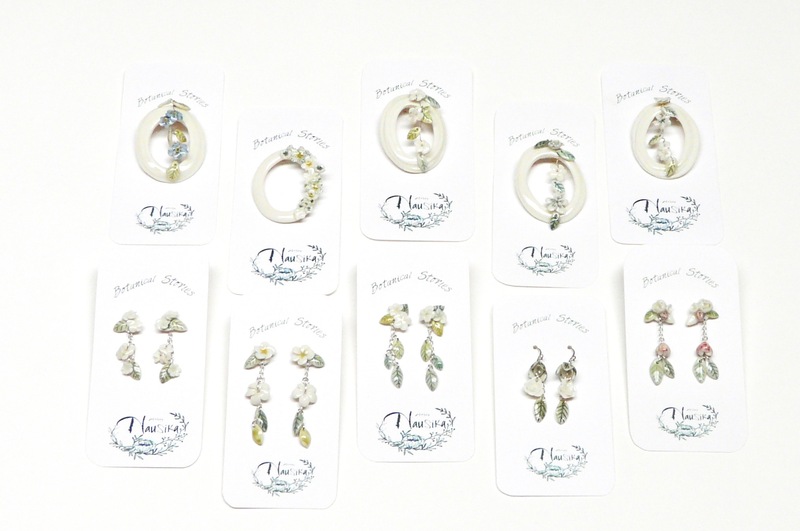 I hope to get them ready by medio September and upload them in my Etsy shop.